This 18′-0″ Silver Streak – Steelheader jet sled model was built for the Hatfield Consulating Group out of North Vancouver, BC. The boat was customized to be a work boat for environmental research by adding a net deck, centre console with steering, (2) saddle tanks for fuel, safety railing, navigation lights and a 1/2″ teflon bottom. Established in 1974, Hatfield Consultants provides innovative and cost-effective environmental solutions to public and private sector clients throughout the world, including North and South America, Asia, Europe and Africa. They combine specialized expertise with customized multidisciplinary services to support sustainable and socially responsible infrastructure, resource and power projects.Visit their website to learn more! This 31′-0″ Silver Streak – Salish cabin boat was built to transport guests to and from the prestigious Sonora Resort on Sonora Island, BC. This passenger boat seats 12 and comes equipped with all the amenities to comfortably transport vacationers. 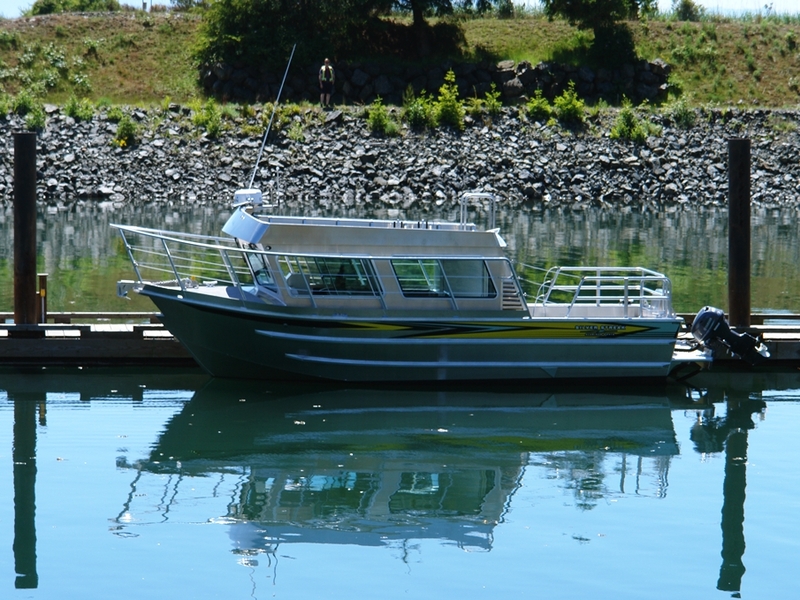 This Salish model is equipped with a full marine head, heater/defroster, windshield washer system, bluetooth stereo system and remote auxiliary steering system. This vessel also underwent safety applications such as, high railing systems, additional bilge pumps, life rafts, plus state of the art GPS and radar systems. The boat has been classified as a Transport Canada TP1332, Section 5, class ‘C’ vessel for stability and tonnage. Whether you are looking to fish, whale watch, spa, or play golf, Sonora Lodge has something for everybody. This B.C. wilderness resort is a jewel amid one of Canada’s most alluring, pristine environments. Sonora Resort is where uncompromising eco-adventure travel meets luxurious accommodations, unparalleled service and five star facilities. Visit their website to learn more! EDI is a private, western Canadian company incorporated in 1994, with offices in Whitehorse, YT, Prince George, Nanaimo and Vancouver BC, and Grande Prairie AB. Areas of specialization include aquatic and terrestrial biology, environmental assessment, erosion and sediment control, environmental monitoring and permitting, habitat mitigation and compensation, and training. 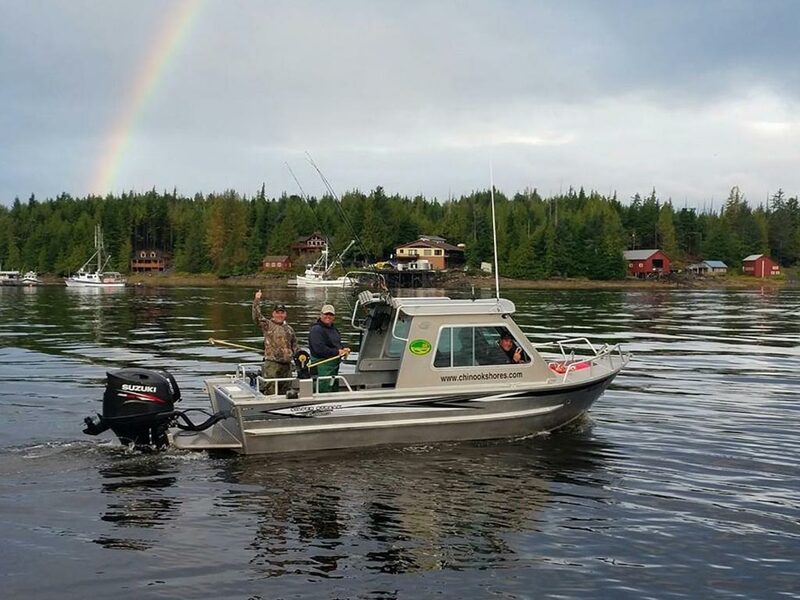 EDI recently purchased a 23 ft. Silverstreak center console paired with a 300 HP Yamaha to be based out of its Whitehorse office. 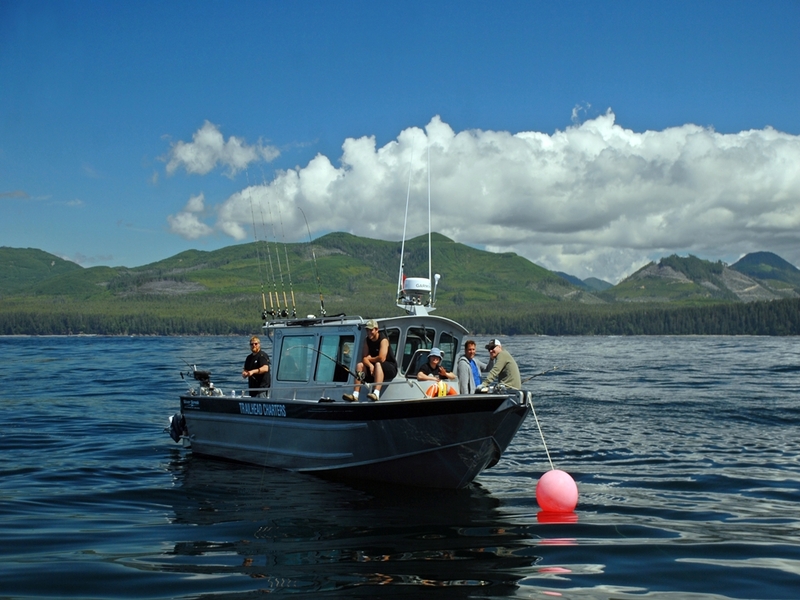 EDI uses the boat to provide support for their commercial dive crew and to conduct freshwater fisheries assessments, monitoring and baseline data collection on the large, remote lakes in the Yukon and northern BC. Working in such remote settings during all sorts of weather conditions, EDI required a durable boat that could stand up to the rigors of such an environment. Passionately and thoughtfully restored, the Pacific Yellowfin has been transformed into a truly luxurious vessel. The finest hardwoods of teak, mahogany, and oak are used extensively. A full array of tenders, water toys, kayaks, motorized scooters and mountain bikes allow a full experience of the area, both afloat and ashore. One of Vancouver’s leading interior design firms, Robert Ledinghan Inc., created a superb décor package. Combining gourmet cuisine and selected wines, the Pacific Yellowfin offers the finest in hospitality. This 23′-0″ Jet model was built for the (then) Wet n’ Wild Adventure Tours. Outfitted with enough seating to seat 13 passengers and a 6 litre Volvo Penta inboard motor that created 800HP, this boat powered through the rapids for many years up and down Kicking Horse Canyon of Golden, BC for tourists. 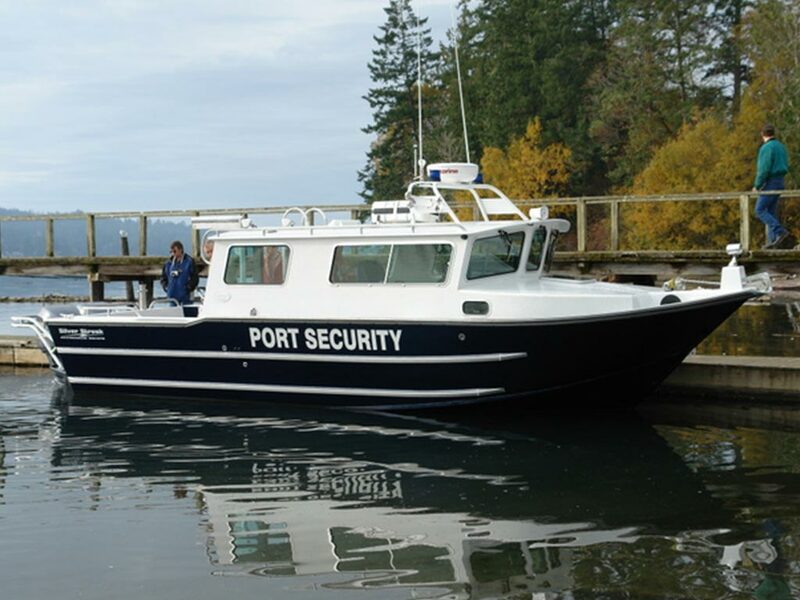 This boat met and exceeded the the Coast Guard certification and all safety standards required for a passenger vehicle. This boat after many years of service is now privately owned but Wet n’ Wild still offers up many different tour options. 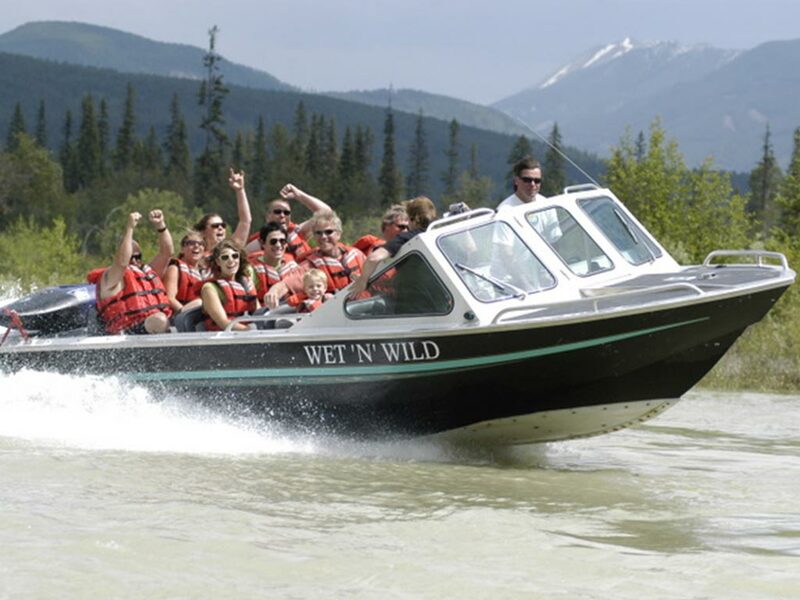 Wet n’ Wild are located among 6 majestic National Parks (Yoho, Glacier, Kootenay, Banff, Mount Revelstoke, and Jasper), and just a short drive from the towns of Banff, Canmore, or Lake Louise or Field. Visit their website to learn more! 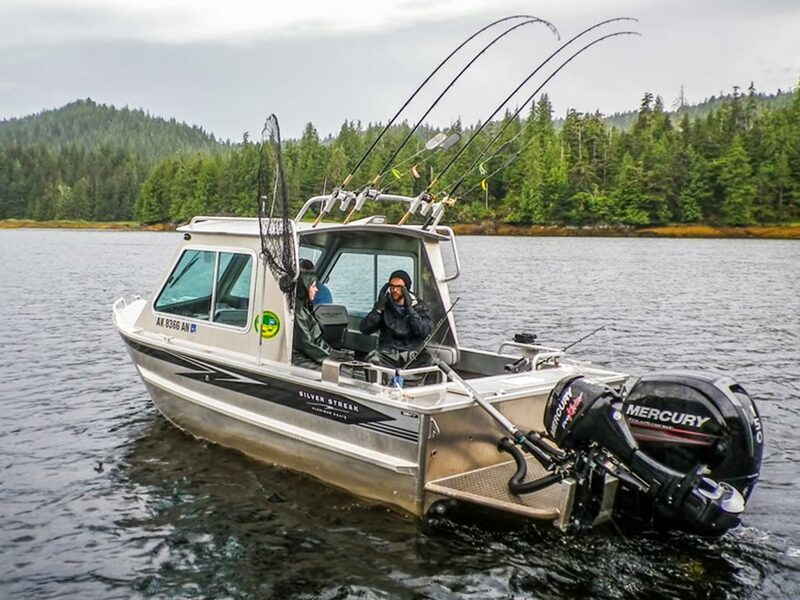 Trailhead Resort and Charters offers full-service halibut and salmon sports fishing packages, as well as accommodations in Port Renfrew, Vancouver Island, BC. Famous halibut grounds surround Port Renfrew. To the south, Sombrio Point and Jordan River are very unique due to their shallow waters, which provide ideal conditions for halibut trolling. To the north are found Carmanah Point and Swiftsure Banks. Swiftsure Banks is considered one of the most productive halibut grounds in the world. Typically you will catch limits of 20 to 50 lb Halibut from the 1st of June onward; larger Halibut are often found laying on lesser populated humps in nearby waters. Daily limits for Halibut are two fish. The halibut record at Port Renfrew is 240 pounds. 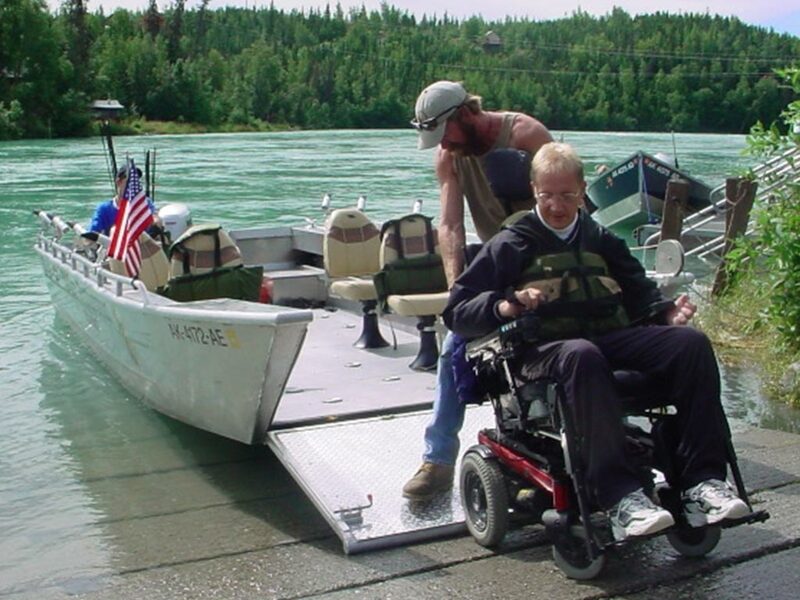 At the Last Frontiersman, they wanted to build a boat to ensure that everyone, including those with wheelchairs and walkers could enjoy the Kenai River. They began with an old aluminum hull and redesigned and rebuilt it so that it was wheelchair accessible and could also be used as a rescue boat. Now veterans can join their families in enjoying the daily charters, custom package fishing trips and rustic log cabins with modern comfort that await them at the edge of one of the last great salmon, trout and wildlife viewing rivers left unspoiled in South Central Alaska. Katmai Wilderness Lodge is not a “bunkhouse” or a “tent camp” style facility. It is the only true lodge having modern and private bathrooms in every guest room, and providing truly gourmet meals on the wild coast of Alaska’s Katmai National Park. The lodge features the high quality and personalized guided bear viewing and sports fishing experiences (without the crowds) on the coast of the 3.6 million acre Alaska’s Katmai National Park. 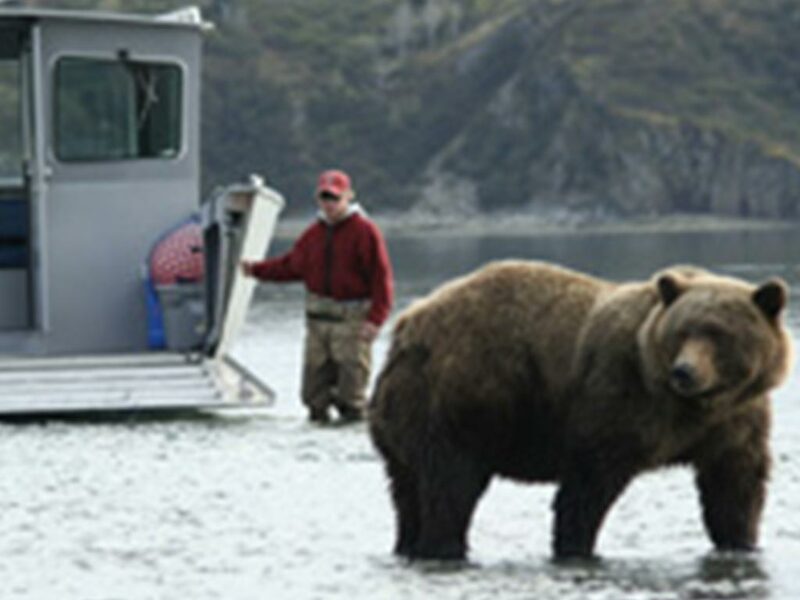 Kukak Bay, where the lodge is located, is well known and highly regarded by far-ranging commercial fishermen and other venturous Alaskans for its concentration of bears and salmon on which they feeds. 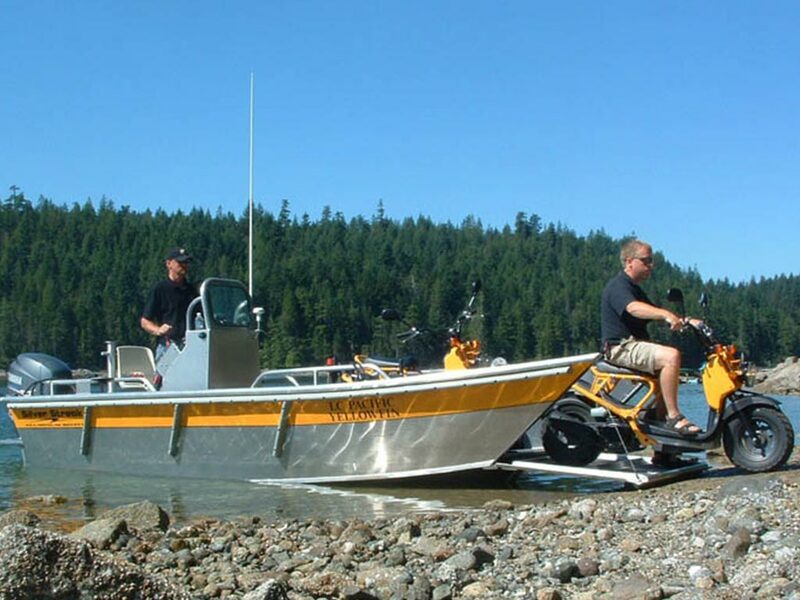 The Marine Patrol is responsible for patrolling the waters of Chelan County for the purpose of preventing crime, enforcing applicable federal law, state law, and county ordinances. 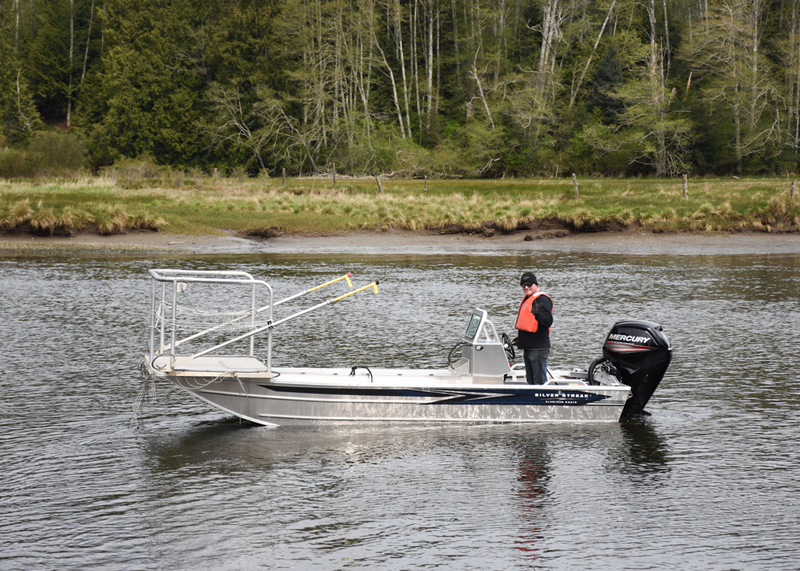 In addition, Marine Patrol is responsible for performing rescue operations for persons and vessels in distress, assisting other divisions and agencies as needed, investigating marine accidents and incidents, and removing objects from the water that present a hazard to the boating public. 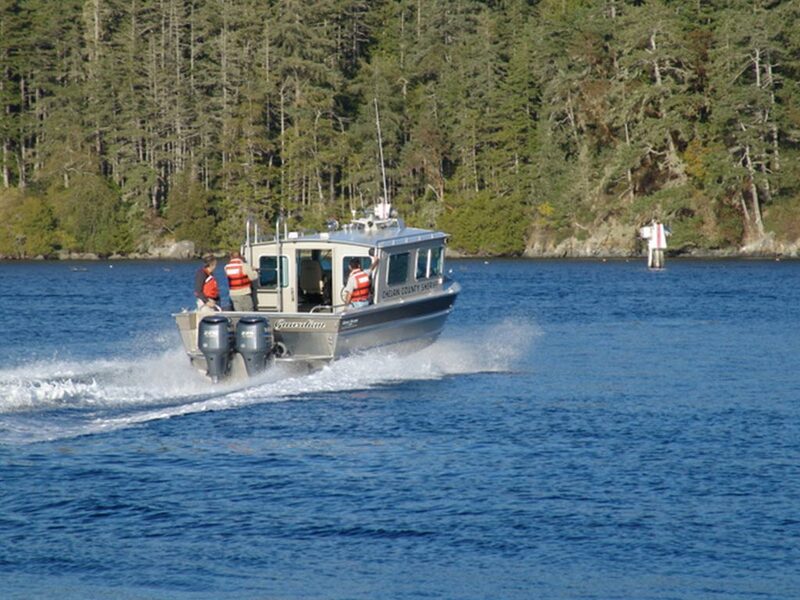 The Marine Patrol is fully operational during the traditional boating season, May 1st to September 30th. The remainder of the year, the unit is on an as-needed-basis. Built for the Department of Fisheries and Oceans, this Silver Streak boat will be apart of Biological Research along the West Coast as a dive boat. When not in use, she will sit aboard the “Vector” as seen in this photo. 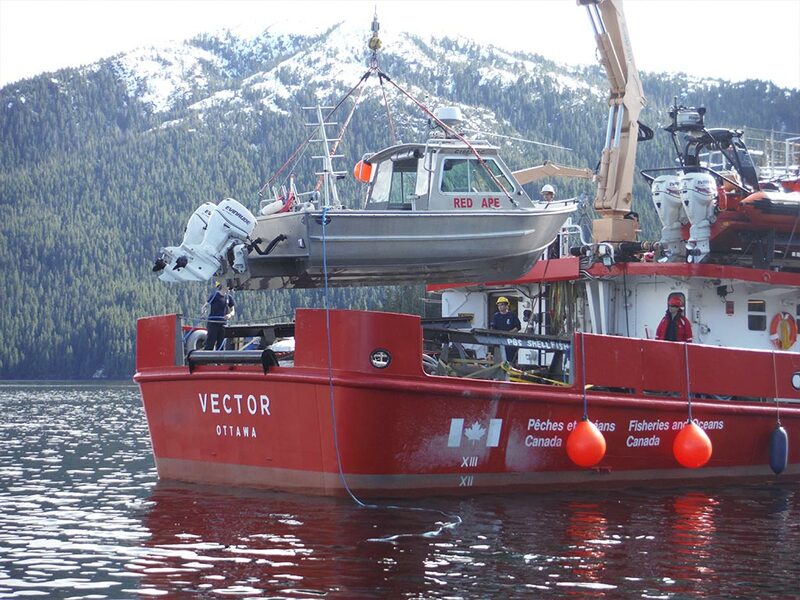 The DFO has also recently added a 2015 – 21′-0″ Silver Streak Runabout Soft top to their fleet of research vessels aboard the Vector. See these boats in Nanaimo, BC doing the great work they do. Chinook Shores’ Alaska Fishing Lodge in Ketchikan makes the most of saltwater fishing for salmon and halibut in the calm waters of Southeast Alaska. 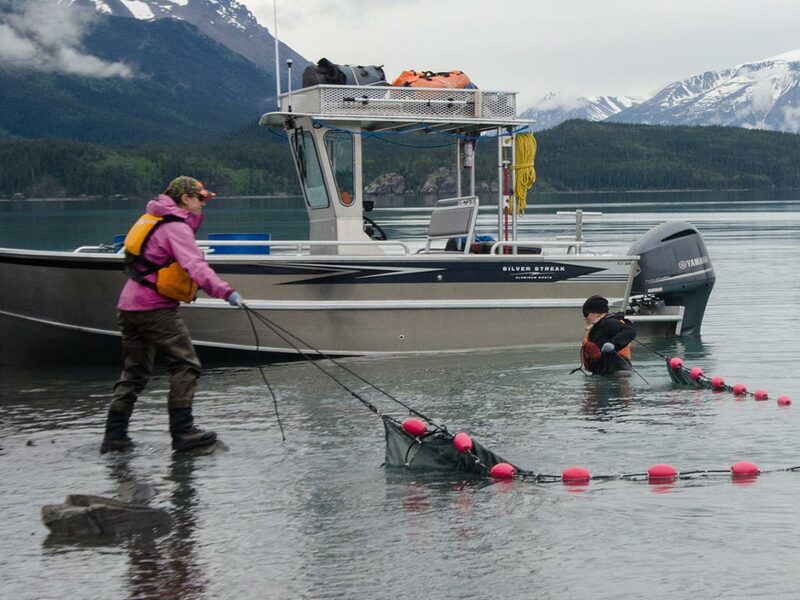 Unguided or self-guided fishing in Alaska is truly rewarding and lets you fish on your own schedule, at your own pace. Ketchikan Alaska is known as the “Salmon Capital of the World” and is famous for huge runs of salmon, calm water halibut fishing, and many species of rock fish. You don’t have to go far (15-30 minutes) to get into some truly awesome fishing. 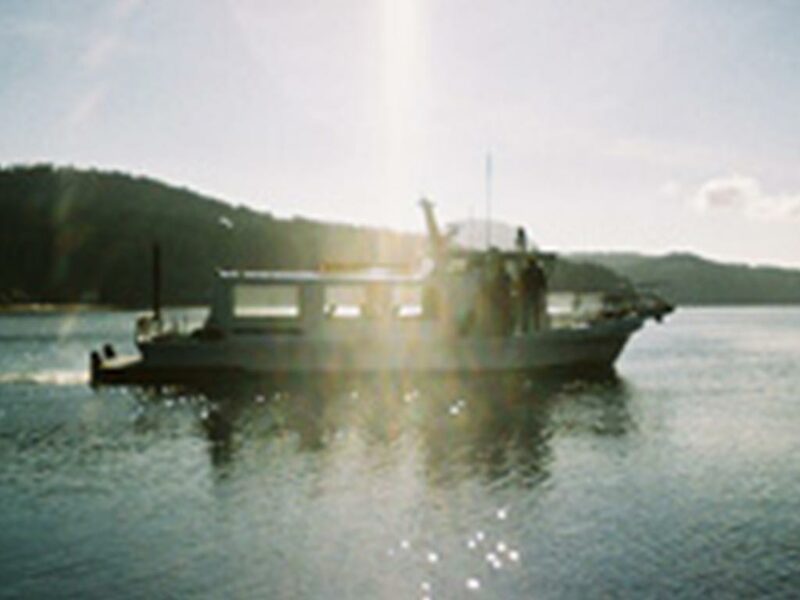 Whether you’re unguided fishing in our 20′ North River bare-boats or guided fishing in our 28′ charter boat, you can enjoy same day combination salmon, halibut and rockfish trips. Some days the best salmon fishing is just five minutes away from our dock. “New in 2014 we started replacing our fleet of boats and we now have 5 aluminum, hardtop boats for your fishing comfort. They are custom built for us and the ultimate 2 person fishing machine.